Especially beginners and those who haven't stood on skis for a while will feel at ease with Hintermoos in the ski region Hochkoenig. The perfectly prepared ski runs, modern lifts and a lot of service offers, such as ski schools or the ski rental of INTERSPORT Rent, make Hintermoos an ideal destination for everyone who wants to enjoy winter sports on low or middle level ski runs. If you are planning a holiday in Hintermoos, also the nearby ski-region in Hochkoenig and the whole area of Ski Amadé is waiting to be explored. Austria's largest ski region include 860 kilometres of ski runs and 270 lifts in 25 villages like Flachau, Altenmarkt, Radstadt or Bad Gastein. 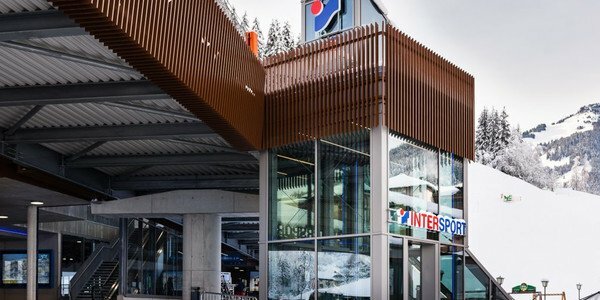 Annoying towing of your skiing gear becomes unnecessary, because the INTERSPORT Rent ski rentals can be found in every ski hotspot in Austria. 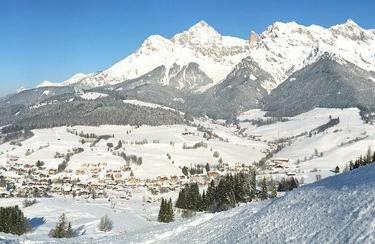 Enjoyable and relaxing aprés ski after an eventful day on the pistes is catered for in Hintermoos. You can relive the day in a cosy atmosphere in the restaurants, bars and huts of the region. Your ski equipment is best kept in the depot of INTERSPORT Rent. There it is safely storaged, while your boots are sanitarily dried by modern technique.